A second interview is a real vote of confidence. It tells you that the employer has seen enough to suggest you are a potential fit for their vacancy. But don’t make any assumptions from the first interview. Just because the first was a relaxed casual chat, doesn’t mean it will be next time. Likewise, an absolute grilling first up may, in fact be followed by an even greater intensity of questioning. Don’t let up on your enthusiasm & preparation for the next round and in fact, make sure you up your efforts as much as you can. Think outside the box, maybe you could find out more about their industry competitors or potential challenges the company faces. Remind them what you know about the company & the prospective role, in addition to reiterating your skills too. Find out as much constructive feedback as you can. If using a recruitment agency in Banbury, they should get hold of this for you. If you’re not using a recruitment agency in Banbury, don’t be afraid to ask for feedback yourself. A nice, friendly e-mail thanking the interviewer and reiterating your interest, is sure to provide a positive reflection of yourself. Adding the interviewer on LinkedIn is likely to have the same desired effect. What was YOUR assessment of your first interview? Yes, you did enough to get through to the second round, but was there anything from it you think you could have improved or explained better? The company will have had a taste of your skills and attributes from interview number one, however now you need to build on this. What added value can you bring to the table to give you the edge over other candidates? Be clear too of your unique selling points and don’t be afraid to acknowledge you have weaknesses too. In summary, don’t make any assumptions for your next interview. Making the extra preparation effort, good use of feedback and being crystal clear on your strengths and weaknesses are all great things to take into your second interview. 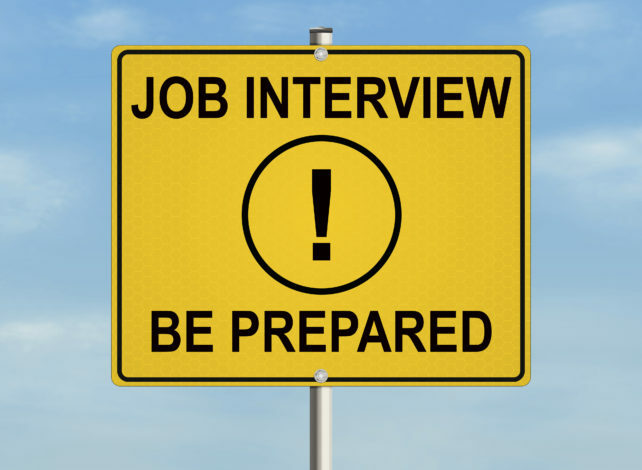 Build on your first interview efforts and this should put you in good stead for interview number two. GOOD LUCK! Prospect Personnel are a Recruitment Agency based in Banbury. We deal with Permanent & Temporary jobs in Banbury and throughout Oxfordshire, Northamptonshire & Warwickshire.